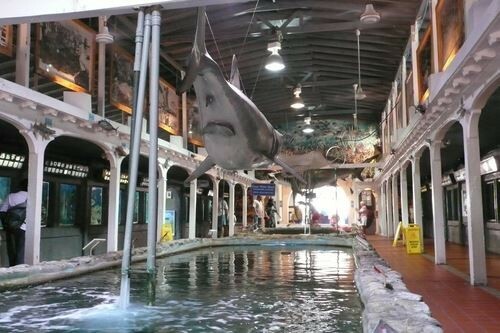 One of the purposes for the Key West Aquarium was to be a clearing market for other aquariums around the country. 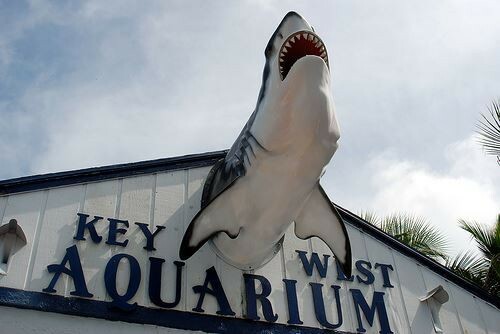 Only seven months after opening, Labor Day of 1935, a hurricane struck the middle keys and destroyed the Overseas Railroad and any hope for the aquarium’s success along with it. At the time the Overseas Extension to the Florida East Coast Railroad was the only way to reach Key West besides by boat. 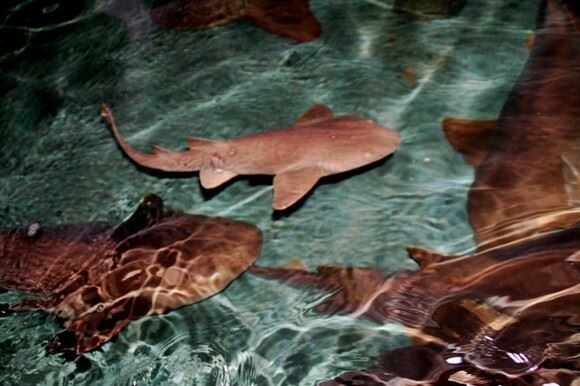 On May 8, 1943 the U. S. Government leased the Aquarium to the Navy, Marine Corps, and Coast Guard to use as an indoor rifle range. All the displays were torn down or filled in to make a level surface area for military firearms. 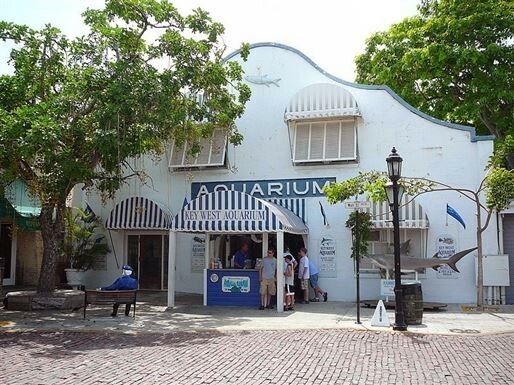 In June of 1946, the Aquarium was returned to the city of Key West and restored to its former glory. Some believe it was more popular than when it opened in 1935. 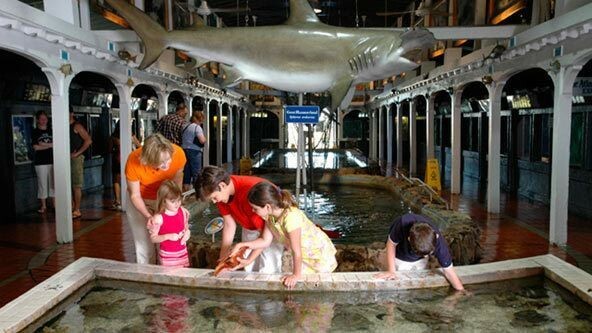 In the 1960s the roof was added to the once opened air aquarium to cut down on algae in the exhibits. More modern methods of illuminating the tanks were slowly being developed and with it came the end of the open air aquarium. 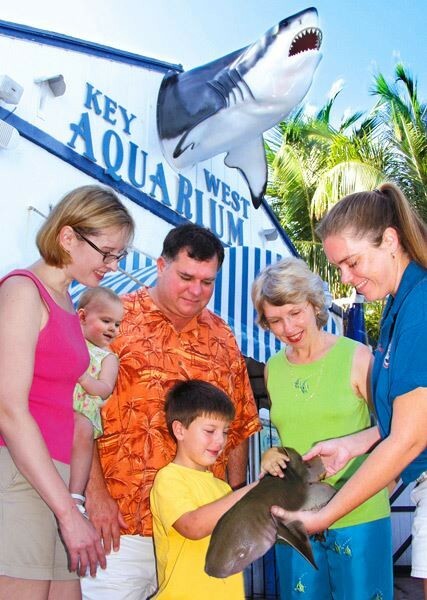 Today the Key West Aquarium is home to sharks, turtles, stingrays, tropical and other various fish found in the beautiful waters of Key West. 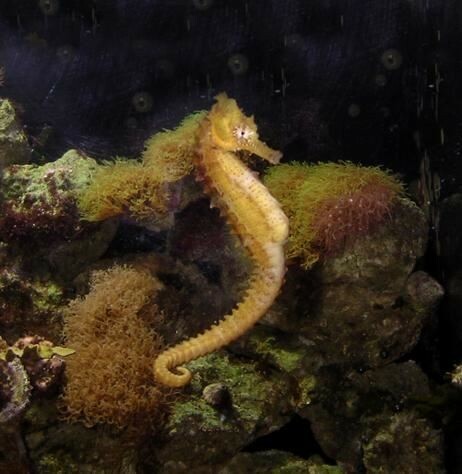 It is actively involved in conservation of the delicate eco-system of the Florida Keys. Requirements: Children 3yrs and younger are free. Must present voucher at entrance.